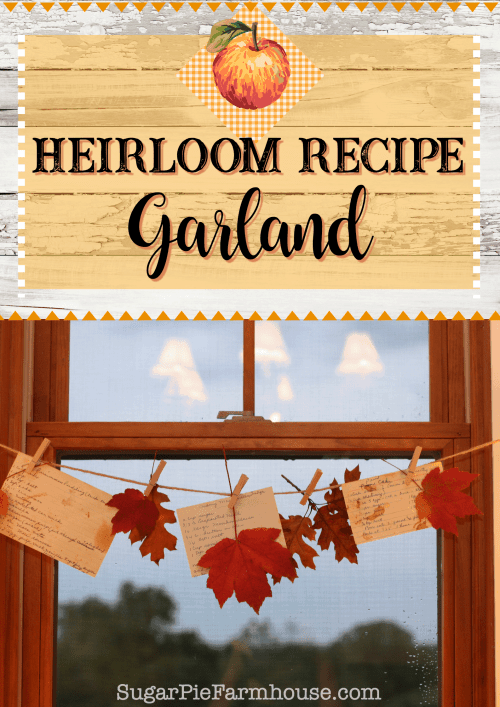 I’m so excited to share Aunt Ruthie’s Heirloom Recipe Garland post with y’all today! This would be a BEAUTIFUL and heartfelt addition to your Thanksgiving. Hello dear friends and Happy Fall! Today I’m bringing you a simple yet truly endearing decorating idea. 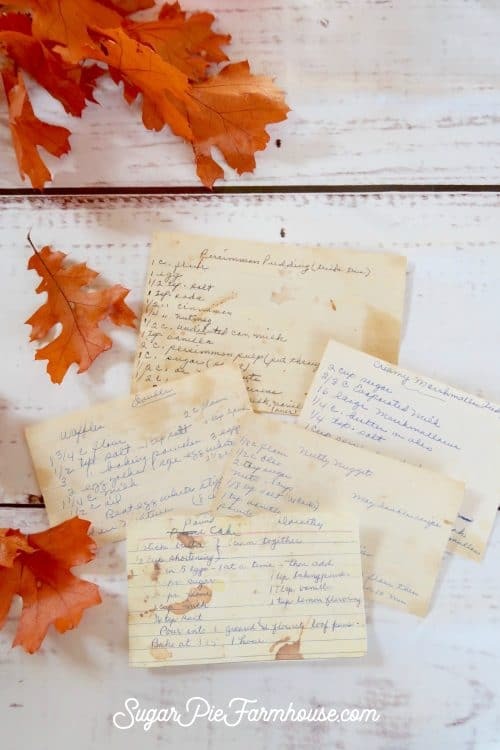 What’s more heartwarming than Grandma’s handwritten, vanilla stained recipe cards? These are treasures to cherish! They bring back warm memories of delicious tastes and aromas and of family gatherings around the table. 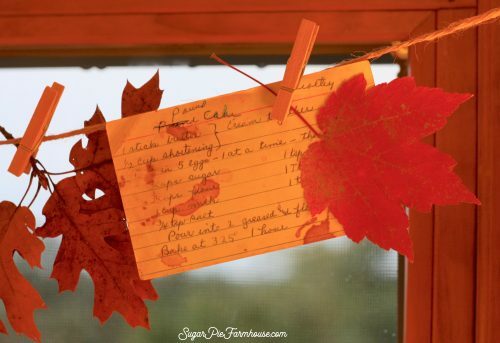 Why not pull them out of the recipe box and create a garland of these sweet and warm memories? I hung my garland across my kitchen window so I can view them with delight while washing my dishes, but you can string it along a wall too! 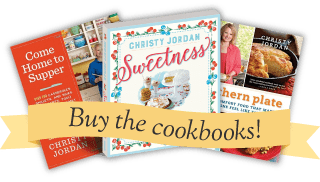 These special recipes can come from your grandma, mother, aunt, friend or even from the flea market written by lovely, vintage home cooks of yesteryear (they were someone’s grandmother, mama or auntie!) and they will still hold the endearing and nurturing sentiments of hearth and home, comfort and joy. 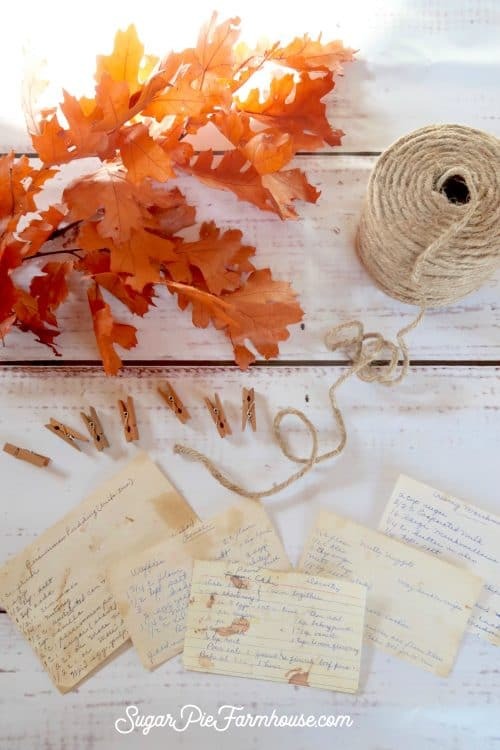 Last, but not least, you can make your own handwritten recipe cards that will become treasures for your loved ones in years to come! Just in case, you can make color copies of these special recipes and keep the originals safe and sound in the recipe box. 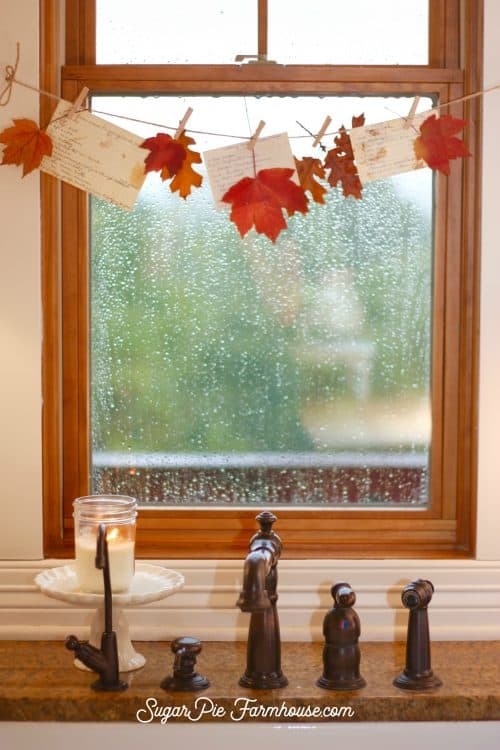 Gather some miniature clothespins (I got mine at Michaels Craft Store), some twine and if you’re making this garland in fall, add some leaves in between the recipe cards. If it’s Christmastime you can embellish the garland with sprigs of frosted pine, boxwood, berries, little ornaments or anything else festive and lightweight. 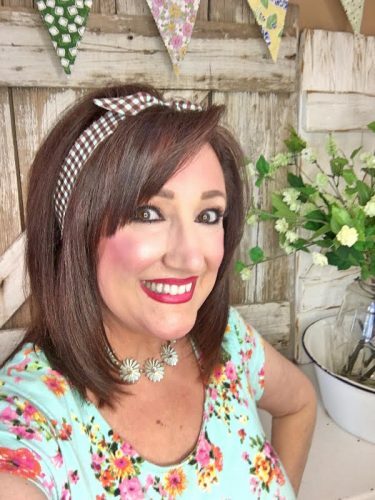 I think it would be wonderful too to tuck in a photo of the author of the recipes! My recipe for a cozy day: make a hot cup of tea, light a candle, surround yourself with things that bless your heart and bake a batch of happy from a cherished heirloom recipe! Well I sure hope you give this sweet decorating idea a try! I promise it will make joy-bells ring in your heart! Have a blessed Thanksgiving filled with all of your favorite yummy fixin’s and beloved family and friends!